Hey y’all! Bonnie and I hope that you had an amazing holiday break with your family. We have enjoyed this special time with ours. If you are like me and looking for some fun stuff do with your kiddos on these cold days, you are going to love our features this week that include indoor winter activities for kids. We have also been just so excited to begin this new year at Uncommon Designs and we have some incredible things planned. This week I shared a post on how to set and track blogging goals. If you want to be on the top of your game this year, it is a great article to check out and you will love the resources! We also shared our Top 13 Crafty Posts of 2013. This really drove home to us how lucky we are to have this blog and be living this dream we never knew we had! Finally, we are looking for a few great bloggers to join our team of contributors. Specifically, if you are a blogger with a knack for cleaning, organization, or party planning… we’d love to hear from you! Send us an email if you have an interest in being a contributor for Uncommon Designs! Welcome to the 50th week of Monday Funday and the first Monday Funday Party of 2014! Hi, y’all! I’m Jamie from C.R.A.F.T. and first and foremost I want to wish you the best year yet! 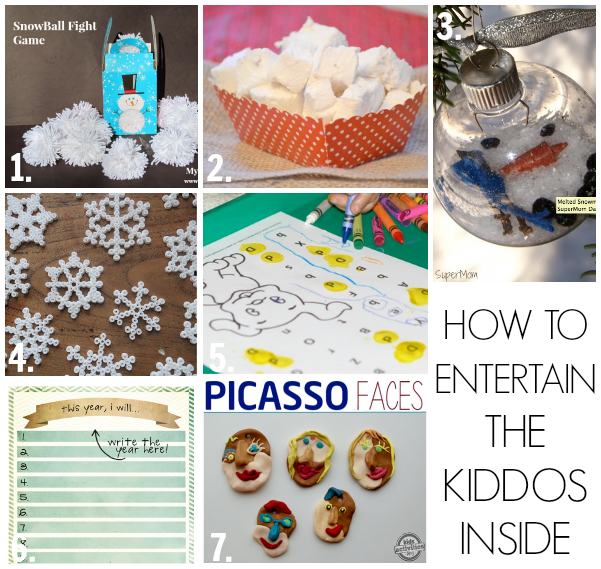 With the crazy chilly weather happening around the country I decided it would be useful to share 7 ways to entertain the kiddos indoors! Oh and here all of C.R.A.F.T.’s social links, just in case you want to join the C.R.A.F.T. fun! These stunning wood veneer labels by Carolyn’s Homework. What a beautiful way to get organized this year! Thank you to everyone who linked up with us last week! And if you were featured today or throughout the week on our social media accounts… Please, grab a featured button! TIME FOR THE MONDAY FUNDAY PARTY! Please link to a specific post on your blog. Please no Etsy shops or items you are selling. We’d love for you to pin the features, but please click through to the tutorial and pin from the original source! By linking up to Monday Funday you are giving the 6 blogs, listed above, the right to feature one of your photos on all of our SM outlets and blogs. Happy New Year $475 PayPal Cash Giveaway! Happy New Year ladies – all the best! Thanks for so many great parties last year girls! Looking forward to the new year! Thnaks for hosting ladies!! Happy New Year to you both! 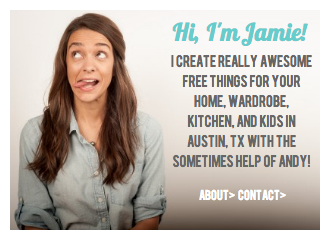 I love your 2013 projects! It’s great to be linking up this week! Thanks so much hosting, ladies, and a very Happy New Year to you! Thanks so much for the party ladies! Happy New Year! You two have had a truly creative year! Thanks so much for all the lovely inspiration! Wishing you an Extraordinary New Year!! Thanks for hosting, ladies. Happy New Year! Hi Bonnie and Trish! Happy new year. Thanks so much for hosting! Thanks so much for hosting! Wishing you a wonderful 2014! Thanks so much for hosting, Bonnie and Trish! I love coming over to party with you! Thanks for the great post on blogging goals too. Hope you have a wonderful week! Thanks for a great link up! I’m loving all of the fun ideas and recipes! Have a fantastic week Bonnie and Trish! I hope you’re staying warm this week! Thanks for the party Bonnie and Trish! Thanks for hosting ladies!! Have a fabulous week! Trish & Bonnie, thank you so much for hosting the party! Have a fantastic day! What a wonderful way to start the year! Thank you so much for featuring my Wood Veneer Labels. Here’s to a new year with tons of creativity and friendship!! Happy New Year Trish and Bonnie. Thank you so much for this party. I look forward to another year of linking up with you two beautiful ladies!